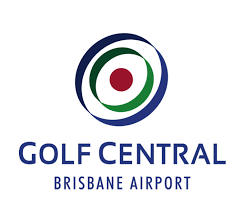 The recent technology addition at Golf Central has made it one the best golf entertainment facilities in Australia and we are looking for an experienced hospitality leader to “jazz up” our bar and cafe to match. We are looking for a creative person with an eye for detail and a passion for customer service to help us create a fun and vibrant environment for social and corporate groups alike. Our hospitality facility includes a bar, cafe, function spaces, meeting room and in golf range bay dining. You will be an integral part of the Golf Central management team and have the scope to put your own stamp on the bar and cafe. Be committed to delivering exceptional customer service that always exceeds our customers’ expectations and lead the same standard of service in our team. High standards of personal presentation and exceptional communication skills. Ability to conduct on the job training and be willing to lead and motivate the team. Must be flexible to work a variety of shifts across a 7-day roster, Weekends and Public Holidays. Be computer and point of sale literate. This is a great opportunity for you to showcase your passion for the hospitality industry and to join the team at one of Brisbane’s best golf entertainment venues! Attractive salary commensurate with your experience will be offered. If you feel this is a great step forward in your career, then please apply on-line or send your expression of interest with cover letter and resume.